Fits 4WD or Pre-Runner Models Only. All Ionic Nerf Bars come with custom mounting brackets that are made specifically for your vehicle for a perfect fit every time. The Ionic Black Nerf Bars come powdercoated gloss black for the ultimate protection against the elements while still looking great. 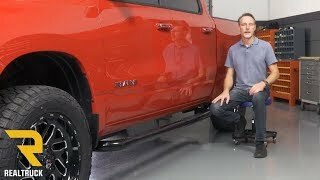 These Ionic Nerf Bars run the length of the truck cab, providing a safe stepping surface at every door. Get yourself a pair of Ionic 3" black nerf bars. Not only do they accessorize your truck or SUV, but they are a necessity when getting in and out of your vehicle easily. They are constructed out of a long-lasting 16 gauge carbon steel that is acid dipped for better durability. With a 500 pound weight capacity you know they're built to last. Ionic 3" black nerf bars have a recessed step pad that'll make stepping onto your nerf bars easily and will allow for sure footing. Black powder-coated mounting brackets are also included for easy installation. There is no drilling on most applications so you'll have these installed in no time. 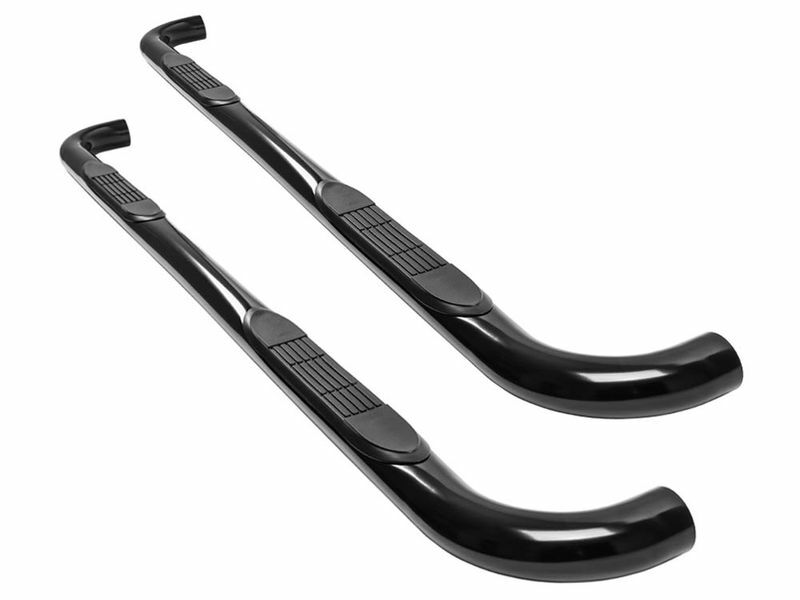 Go on and accessorize for truck or SUV with Ionic 3" black nerf bars. Ionic 3" black nerf bars have an easy at home installation. For additional information call us at 1-877-216-5446 or 701-253-5906.